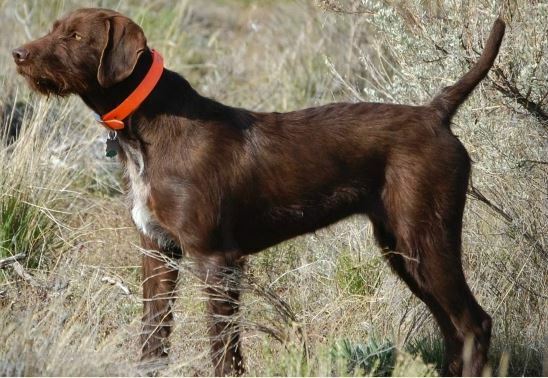 Located in Redmond Oregon, we are a family oriented kennel with a goal of producing Pudelpointers, which are great gun dogs that have strong natural pointing and retrieving instincts. 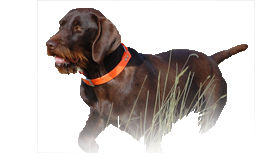 We breed dogs with stamina and temperaments that are suited to our hunting and training experiences. We enjoy hunting with intelligent, hardworking and stylish dogs that have the stamina and prey drive to hunt all day. Our dogs not only hunt hard for us, they also live in our home as family members. Because they are also great companions and pets as they need personal contact. The Pudelpointer is the most versatile of the gun dog breeds. They not only excel in the hunting of upland game, Their natural love of water and retrieving puts them at the top of the list as waterfowl dogs. Pudelpointers do an excellent job of finding and retrieving shed antlers. We are members of NAPPA (North American Pudelpointer Alliance) and follow their strict requirements for breeding; this has made the Pudelpointer the top testing breed in NAVHDA.